Intuition, telepathy, and empathy are referred too as a six sense. Psychic energy is free flowing energy. It’s considered creative energy and is more like day dreaming and imagination, instead of logical thinking. Throughout history psychics, mystics, witches, wizards and sorcerers have known about psychic chords. 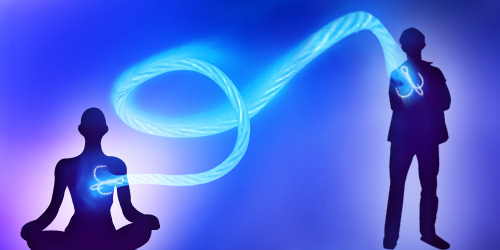 Psychic chords are energetic ties between people. Psychic chords are not seen with our eyes, they are sensed and felt. Chords are energetically connected to the spirit body, otherwise known as our chakras.